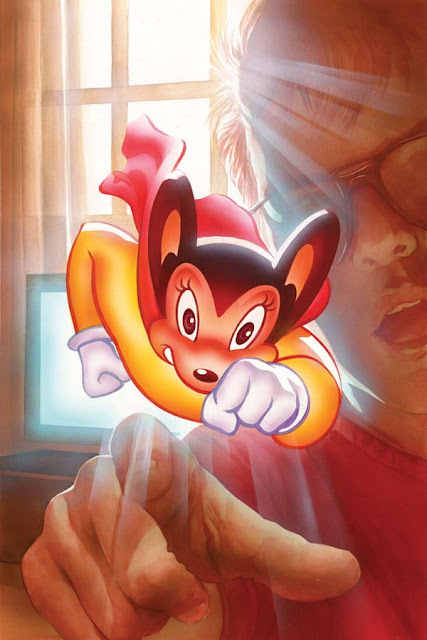 "One of my favorite things about writing comics is getting the chance to play with characters I've loved all my life," says writer Solly Fisch. 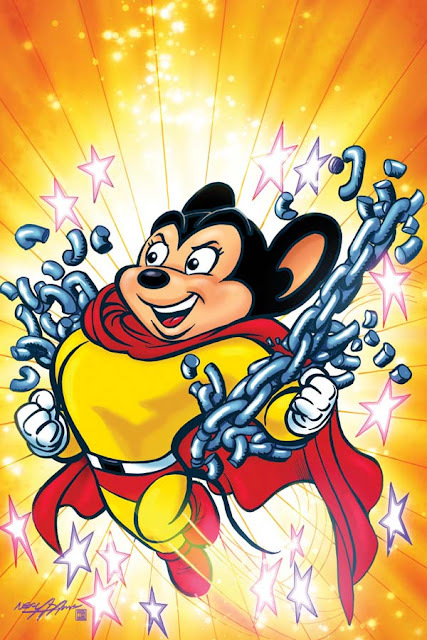 "And what's not to love about Mighty Mouse? 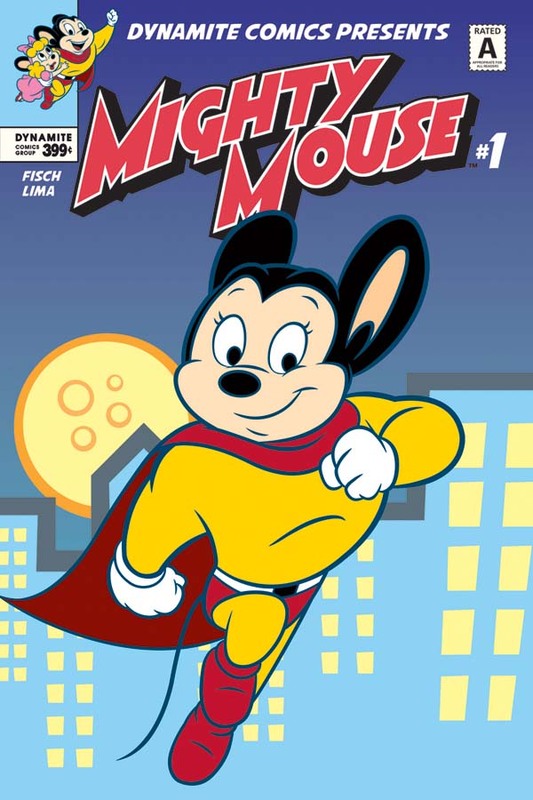 Not only is he funny, but of all the super heroes you can name, there aren't many who dedicate themselves quite so literally to fighting for the (ahem) little guy. When I was a kid, my sister and I used to get up early to watch Mighty Mouse cartoons on TV and, in those prehistoric pre-DVR, pre-streaming days, we'd tide ourselves over between shows by listening to our Mighty Mouse record (yes, on vinyl. I said it was prehistoric.) Decades later, I fell in love with the character all over again, thanks to Ralph Bakshi's brilliantly insane Mighty Mouse TV series. Now, I get to contribute yet another unique spin on Mighty Mouse, as we bring him rocketing out of Mouseville and into the real world... and couldn't we all really use someone to come save the day? It's all pretty cool, and I'm having enormous fun with the series. 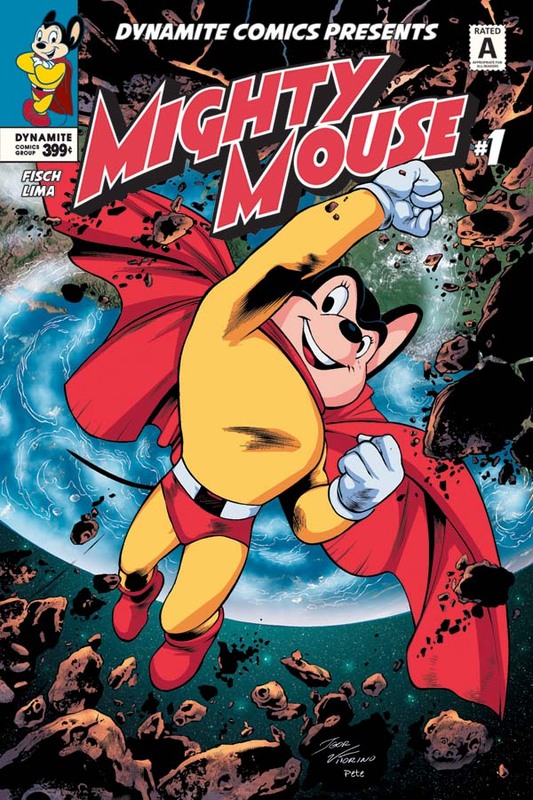 Hopefully, everyone else will, too! Oh, and did I mention that I can still sing the entire Mighty Mouse theme song by heart? 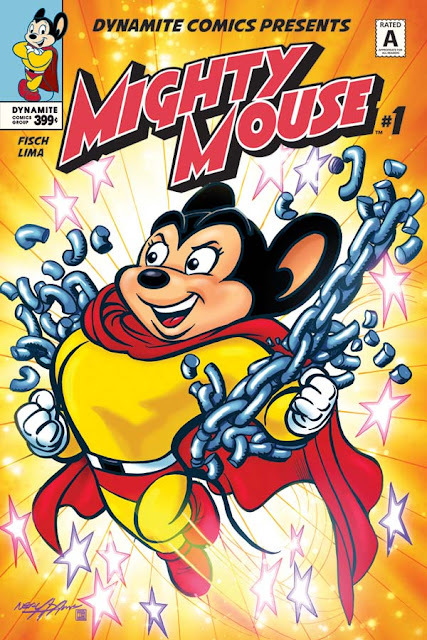 Don't get me started!" 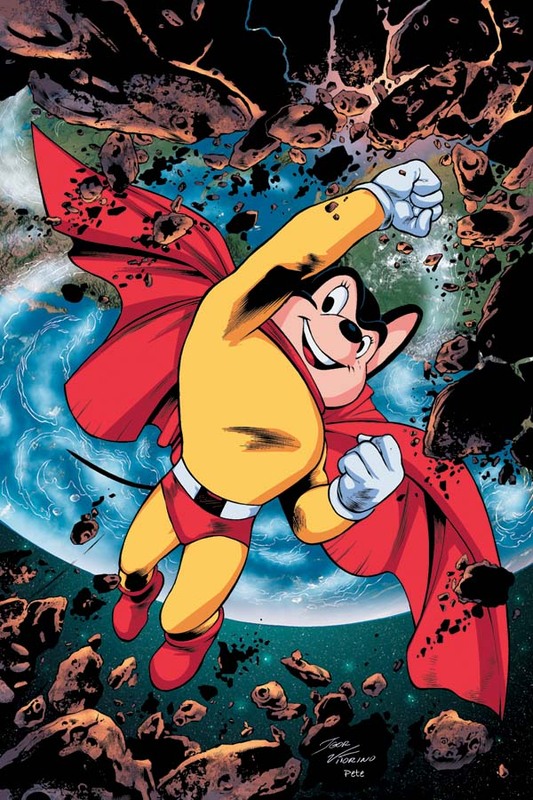 "Mighty Mouse is one of the greatest standout creations in the history of animation," says Dynamite CEO and Publisher, Nick Barrucci. "Mighty Mouse was a huge part of my childhood, and has been an influence for many characters since, most famously Osamu Tezuka' Astro Boy. 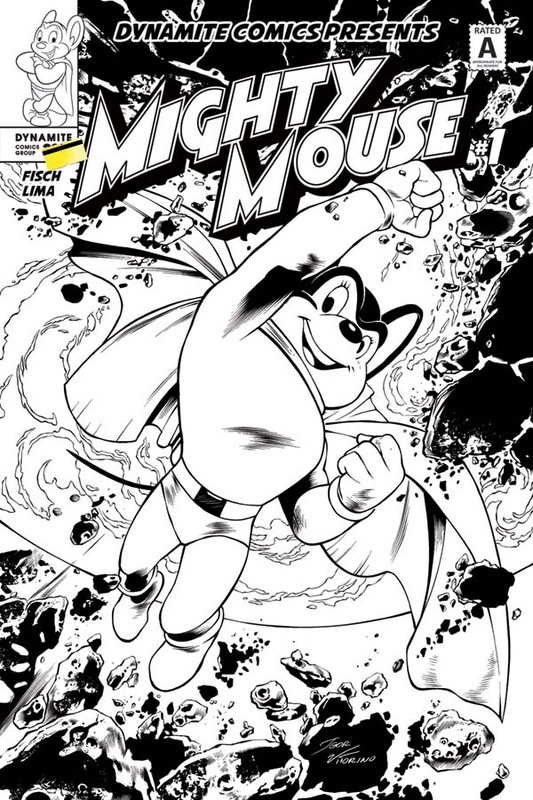 It's hard to believe a character so ready-made for comics has been gone from the medium for almost 30 years. 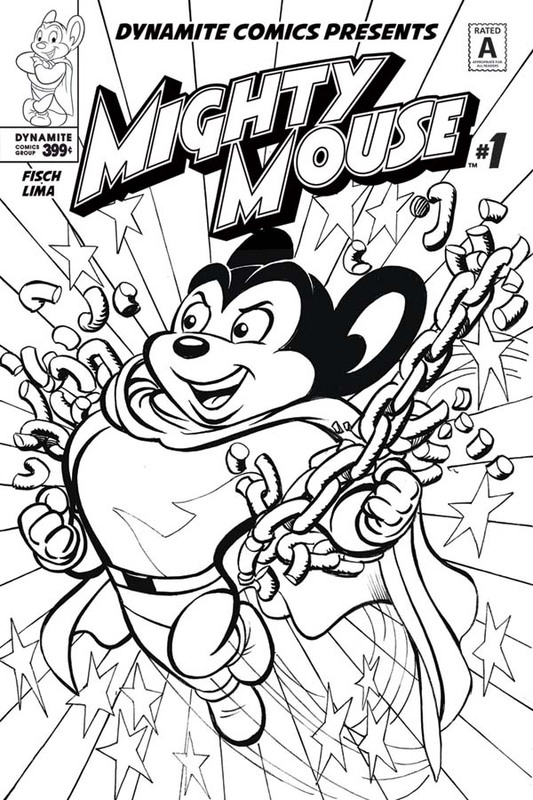 I'm thrilled that Dynamite will introduce this American icon to a whole new generation of fans!" 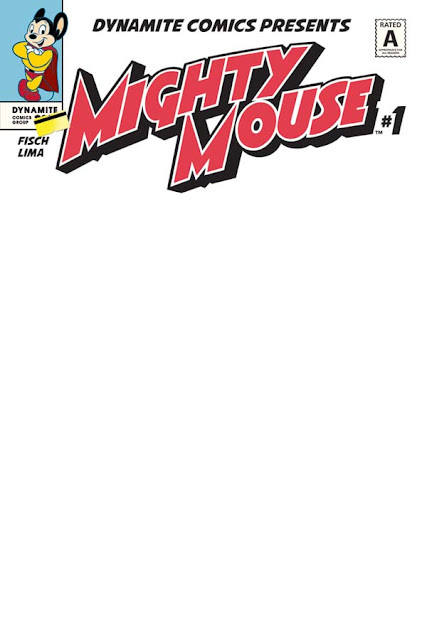 Under license by CBS Consumer Products, Mighty Mouse #1 will be solicited in Diamond Comic Distributors' April 2017 Previews catalog, the premier source of merchandise for the comic book specialty market, and slated for release in June. Comic book fans are encouraged to reserve copies with their local comic book retailers. 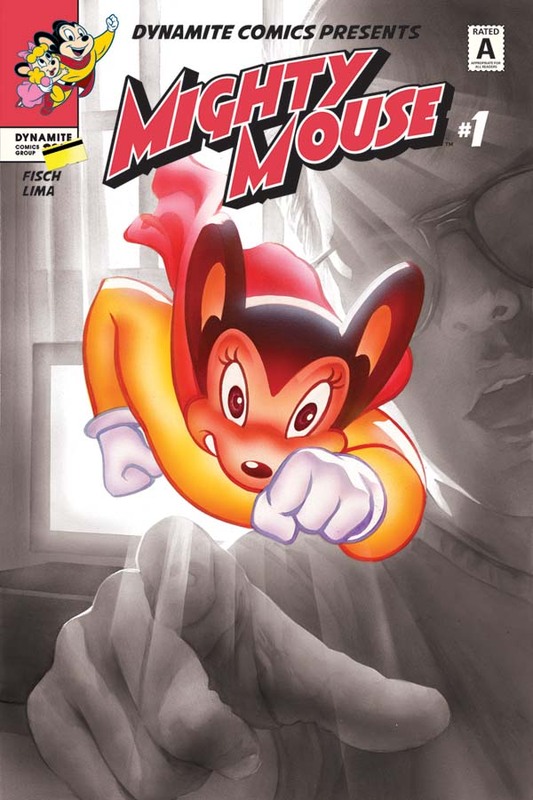 Mighty Mouse will also be available for individual customer purchase through digital platforms courtesy of Comixology, Dynamite Digital, iVerse, and Dark Horse Digital.